Automobile paint quality is a factor that every car owner will pay attention to so long as they want a good quality polish on their car. Every body shop out there claims to provide the highest-quality car paint job. So what exactly makes high quality paint? Secondly, you might ask yourself what high-quality paint really provide. When buying car paint you should know that the ingredients used to manufacture the car paint does greatly affects the final finish and look of the vehicle. To begin with, you should always make sure that you have used coating that is made from high-quality ingredients. A coating with high-quality ingredients will make it easier to apply the coat, and it will actually look better and stay for a longer period of time, considering the rough conditions a vehicle’s body is exposed to over the years, with the sun, rain, snow and more. So what exactly are the key ingredients used in the manufacturing of automobile paints? A can of paint at the paint shop will have two different types of pigment. The first one is the prime pigment that will provide the color and the hide. Then we have the extender pigment that relates to the color of the paint and therefore will add a lower impact on the quality of the paint. The high-quality car paints will have more of the things that are meant to give you more ability to easily apply the paint and better durability of the paint including the ability to retain the color after the car paint job. Note that if you want these high-quality pigments, the more expensive you will pay for them at the paint shop. In today’s paints, we have different types of binders that are used. For the latex paints, you will; find that they have either the acrylic-styrene or the Vinyl-acrylic binders or in other cases, they will be 100% acrylic. Depending on the type, the quality and also the amount of binder that is used, we will have different levels of stain resistance the cracks resistance and also the gloss to adhesion. When you use the high-quality binders, which are mostly found in the high-quality paints, you will realize that you will get the end product that adheres well to the surface that you are painting. The car paint job quality does not depend on the liquid used because the liquid is mostly meant to serve as a carrier. The high-quality paints will have a high ratio of the binders and the pigments compared to the liquids. For the cheap paints, you get a high ratio of liquids. Additives used on the paint will greatly determine the additional benefit to the paint. The most commonly used additives will include Rheology modifiers that provide leveling to the coating and also a better hide. We then have the Mildewcides that will keep mildew in check and the dispersing agents to make sure pigment is evenly distributed, and lastly preservatives that prevent spoilage of the paint. Note that the additives used in the paint will increase the cost of the product, but on the other side you get a high-quality car paint job. 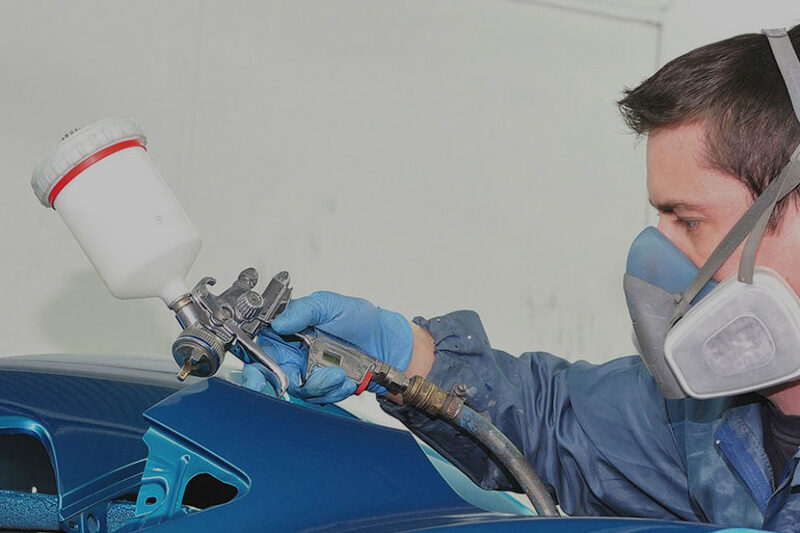 World Auto Body only uses the best, Sherwin Williams Paint, and our certified professionals always follow manufacturer procedures to provide you with the best outcome for your vehicle. A great paint job can make your average car, looks special. And a professional car painter is what you need to achieve the best results. Automobile paint quality is a aspect that every car owner should pay attention to give a good quality polish on their car. Before purchasing a car paint you should know which ingredients greatly affects the final finish and look of the vehicle.To begin with, you should always make sure that you have used coating that is made from high-quality ingredients. For more information you can contact visit https://www.foreignaffairsauto.com/. Thank you for sharing such an informative post regarding the quality car paint job. Paint job of the vehicle needs to be washed at a regular interval in order to prevent different types of contaminants from damaging the vehicle. Acid rain could also damage the paint job of the vehicle. So, we should take suitable action to protect the paint job of the vehicle. Scratch and dent could appears due to collision. If the dent is deeper one, then it should be repaired by experienced professionals (You may visit: http://www.bimermbenz.com/services/).